Water damages are the kind of event that can have a huge impact on the home. They are also very difficult to fix up, and can cost the homeowners a lot of money. 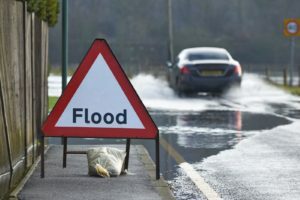 At a small scale, the water damages can be addressed by someone who isn’t professionally trained, but at a large scale level, the damages must be dealt by a restoration company. The homeowner, therefore, should be able to make the decision effectively and know when to call whom. The best advantage of hiring professionals when it comes to water damages is that they bring in a lot of training and expertise. They can then, based on their experience and the kind of damages, make a quick and informed decision that will allow them to follow the best methodology that will not only fix the water damage, but also prevent any further problems that can result from the damages themselves. However, before you call them, you can also follow certain protocols to reduce the extent of the damage. The first and most important thing to do when you see significant water damages such as flooding is to immediately have the electricity turned off. This is to reduce any chances of electrocution which can be very dangerous and even fatal. If you touch any electrical equipment, make sure you are not close to or standing in a large volume of water. A lot of the furniture in your home can be possibly damaged in a water damage incident. However, until the experts come in, there are still a lot of materials in your home that you can potentially save. So in the meantime, try and save whatever you can. Remove them from water and take them somewhere safe so your repair costs are reduced. Don’t sit and wait for the water to evaporate away on its own. The longer the water stays inside, the more damages it does to the flooring, the walls, and to the integrity of the home. You can purchase water pumps in any hardware store and start removing the water. Drying out the water is one of the hardest parts of the restoration process, but also one of the most important parts of it. If water is retained inside your home, it can become a target for decay and mold development, along with a lot of other problems. If your floors are carpeted, you will need to remove the carpet at once. Even if the carpet dries, it may be moist underneath which can be a huge problem. Furthermore, use fans and open windows to assist in the drying process, along with dehumidifiers to reduce the moisture in the air. As soon as you notice water damages, you should also make sure no mold is growing at home. This is the part of the remediation where you will need a water damage professional who can test for molds and propose a plan to remove them.